With Occupy Central demonstrations enter third day, Oscar Lo, integrated planning manager at Buspak, is one of 50 advertising executives behind a full page ad demanding universal suffrage in Hong Kong. Lo told Marketing the ad represents more than 50 advertising professionals across the creative, media, PR and client areas. He said the ad is not from any single Hong Kong organisation like the 4As, but more about concerned individuals from the advertising industry. 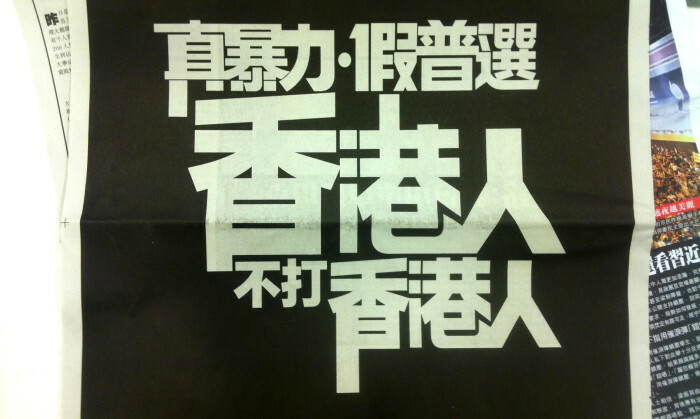 Published in black and white, the ad reads: “True violence, fake universal suffrage. 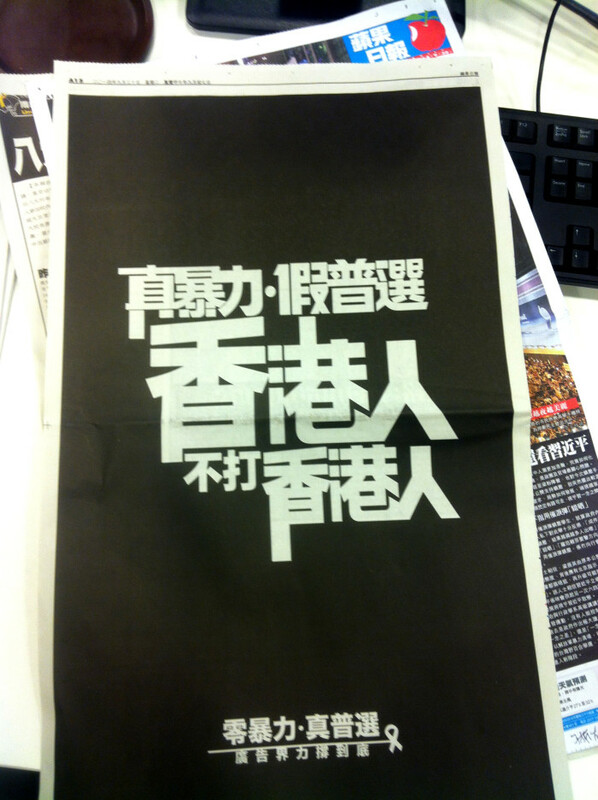 Hongkongers don’t fight each other”, with a smaller tagline at the bottom adding: “Zero violence, real private capacity; The advertising industry gives full support until the end”. “Our profession is to bring accurate messages to the public in the most effective way,” Lo said. “Apart from being ad men we’re all normal Hong Kong citizens, it is the responsibility to play our part in the fight for Hong Kong’s well-being,” he added. It is understood that a full-page ad on Apple Daily costs around HK$150,000 a day, with a 30% off for announcement ads like this case. Lembong will oversee CIMB FinTech, a strategic unit launched in 2017 to examine and invest in new technology including artificial .. The estimated allocation of RM17.94 billion for SME development across all economic sectors is expected to produce an additional R..